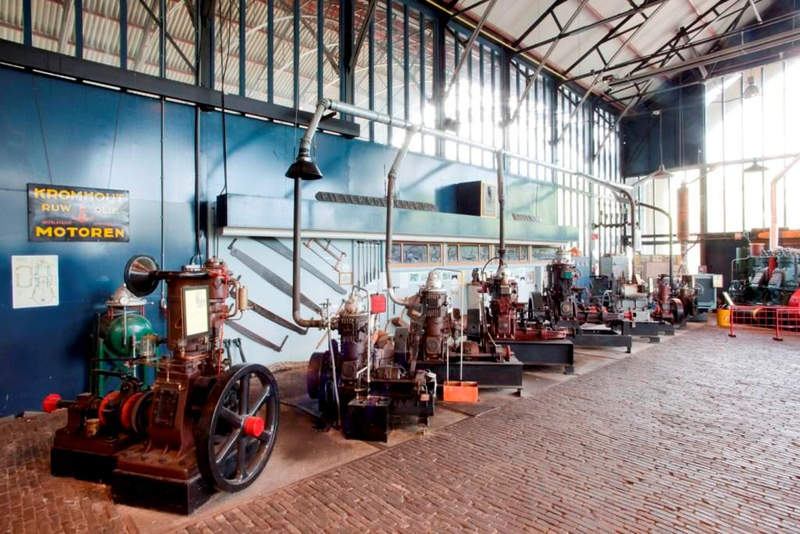 Kromhout built an amazing number of different types of engine, nearly all of which are on display in our museum. 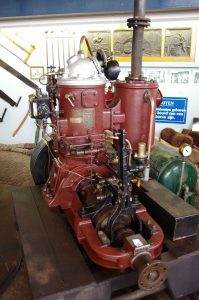 Besides the famous hot-bulb engines, you will see the first four-stroke petrol engine and the two-stroke crude oil engine, up to the later big F240 engines. 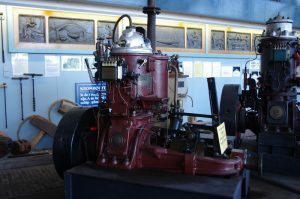 Besides marine engines, the company developed its own special models or built them under licence, such as a “Ramjet” for the Kolibrie helicopter and even a tiny little engine mounted on the front axle of a bike. A-190, two-stroke with uniflow scavenging. A ‘flat’ engine from the Kromhout car period, which is built into the chassis of a lorry. Ramjet engine from the Kolibrie helicopter. An aeroplane radial engine Genet Major for the Fokker S9 training aircraft from 1939.